Insight Magazine, an online publication from the forward thinking arts organization, FOKUS, published an interview with BANG’s founder, Mark Feldman, in their 30th issue, published in the Spring of 2011, when BANG! 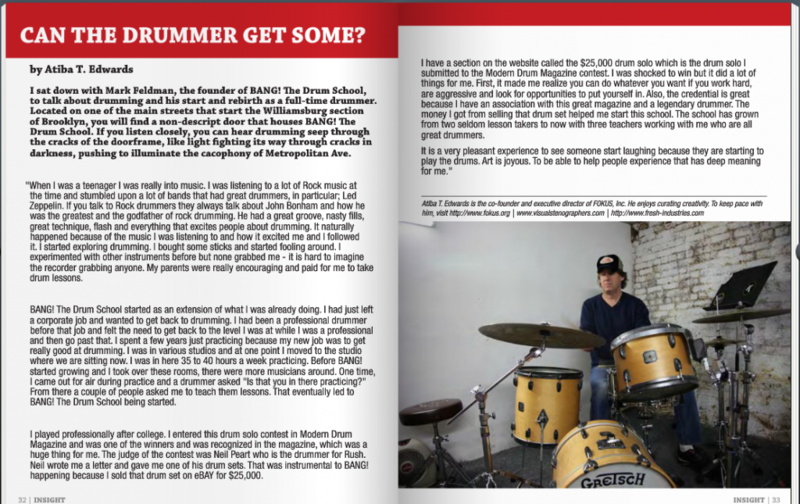 The Drum School was still located in Williamsburg, Brooklyn. The article is reprinted below.